Nikon has announced a new, free, app for iPhone and iPad which allows users to access My Picturetown, Nikon's online sharing and storage service. The app, Picturetown Pad, which can support the new Motion Snapshot function built into the newly launched Nikon V1 and J1, can also display pictures in "book view" and "map view", utilising data that has been captured with GPS enabled. Using the app, users can create albums and customise the way photos are displayed. Photos can be displayed in a book-style layout, with shooting information displayed under each photo. Layout is random, with photos being displayed differently each time. For those using GPS integrated models, such as the recently announced Coolpix AW100, Nikon's first rugged camera, a map view can shown. Photos uploaded to Picturetown can be sent to Facebook and Twitter accounts, along with photos from the iPhone or iPad camera itself. Photos can also be sent as email attachments. 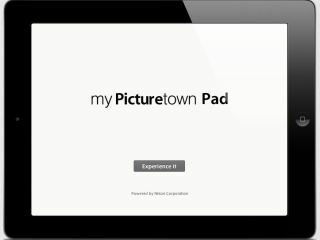 The Nikon Picturetown Pad app is compatible with iPad, iPad 2, iPhone and iPod touch and requires iOS 4.2 or later.